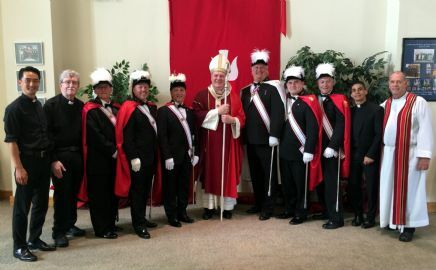 Cardinal Joseph Tobin with OLM Clergy and the Knights of Columbus Color Corps. 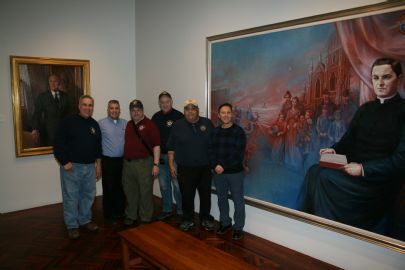 Our visit to The Knights of Columbus Museum, New Haven, CT.
Our Lady of Fatima, #4486 (at Our Lady of Mercy Parish, Park Ridge, NJ) would like to invite you, a Catholic gentleman, to join our Council. 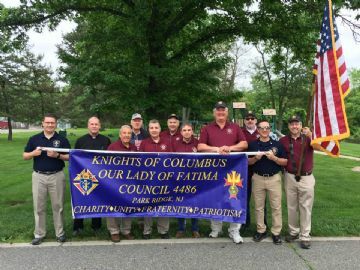 It's a fun, rewarding and spiritual way to be part of a group of men dedicated to helping the parish, community and our fellow man. Please feel free to contact me for more information on becoming a part of our exciting Council.